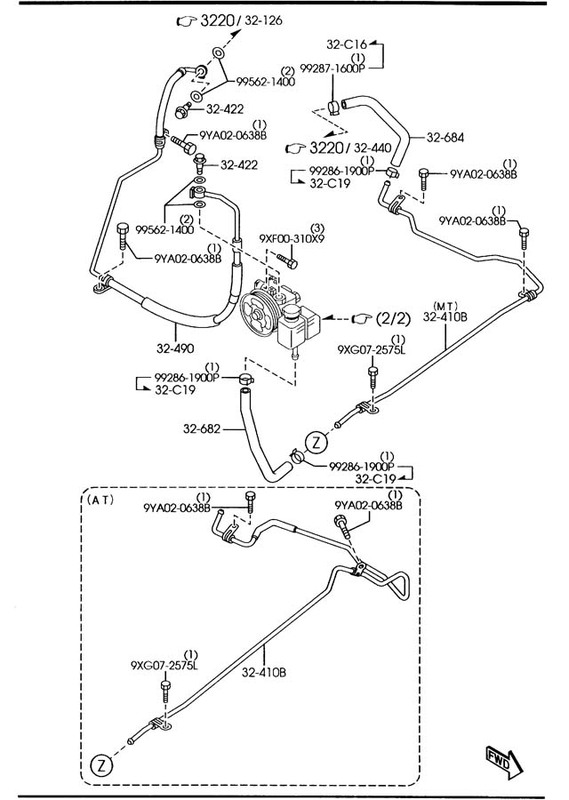 The power steering slowly leaked out of my '06 mazdaspeed6. I filled up. Checked for leaks. No leaks. Turned the car on turned the wheel a bunch, no leaks. I start to drive it and it pours all down the street. It's a pretty bad leak now. It is leaking at the section of pipe that goes in the driver side wheel well. It's all rusty where those round fins are. I think it is part number 32410b but that is expensive. Like 130 dollars. Is that just how much it is? I need it like ASAP this is my DD. Thank you! It does rust out and cause problems. I suggest replacing it. I once repaired a rusted fuel tank (looked like it was hit with a blast from a shotgun) by removing it and cleaning it with a wire wheel then spray solvent and a nice coat of JB Weld followed by new paint. Worked for nearly 8 years till I sold it. Not ideal but if you are on a budget (12 yr old speed 6 may not be for you...) it could bridge the gap. I actually just found an old thread of the same exact issue! It actually looks like it has a heat sink cooler on it. Is there some sort of aftermarket part that would be cheaper? I may just end up putting some jb weld on it idk. If it is a return line it will be operating under low pressure. You could cut the bad section out and replace it with rubber hose and clamps; depending on where it is. I ended up going with the dm power steering cooler kit. It was worth a Benjamin Franklin. Easy to install. Works like a charm. Will last a long long time. That was an excellent decision I think. Keeping fluids from overheating is key and difficult with how hot it gets under-hood on these creatures.